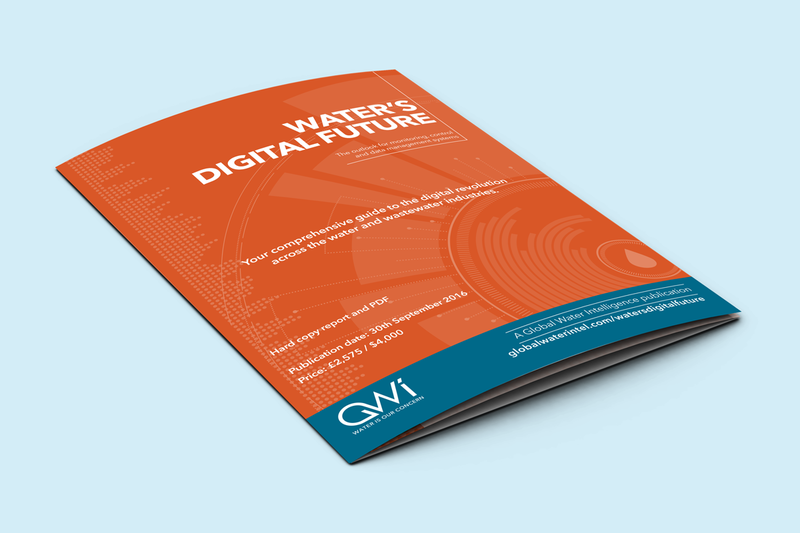 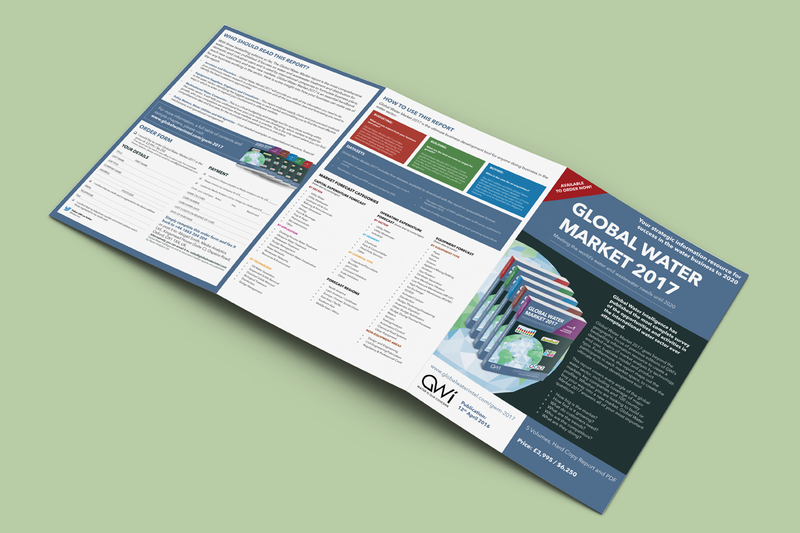 During my time as the in-house designer for the market analysis and publishing firm Global Water Intelligence, I would work with sales and marketing teams to come up with materials to promote products and events. This included printed brochures, magazine adverts and banners for web and email. 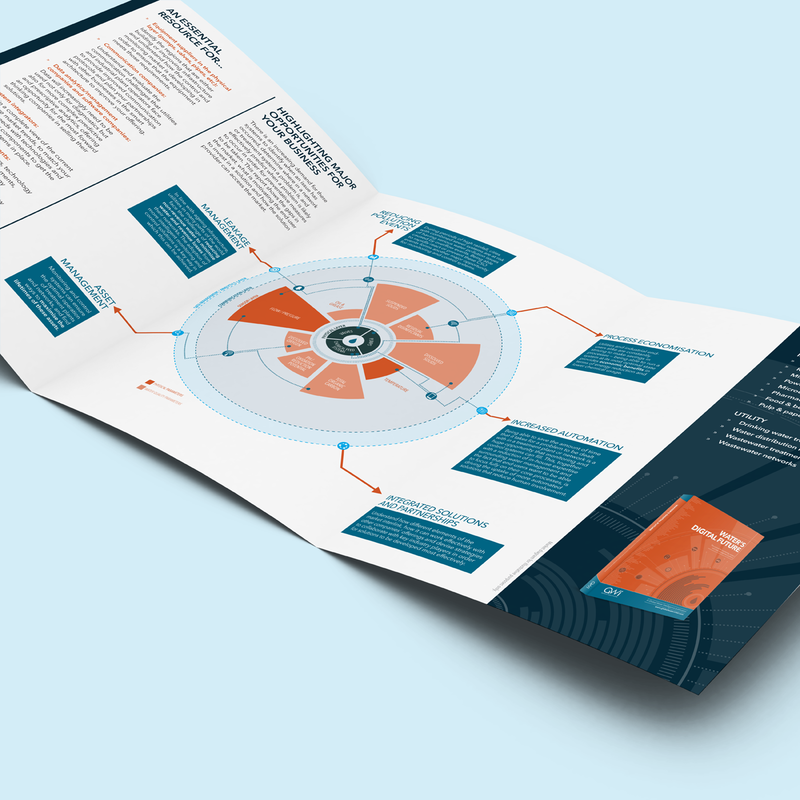 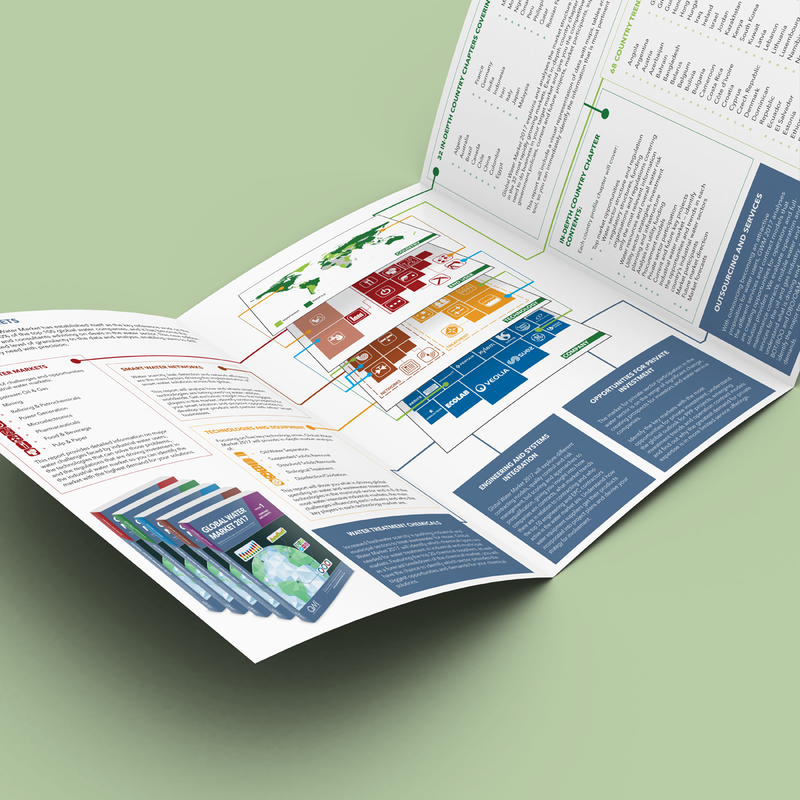 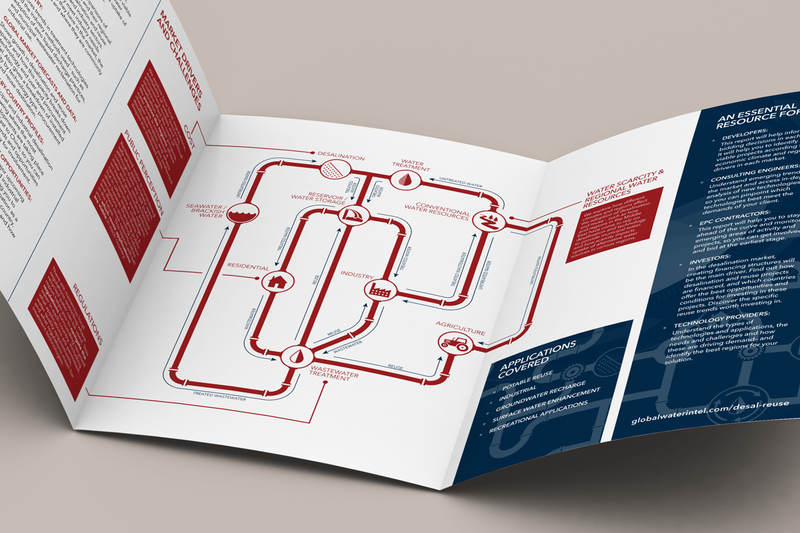 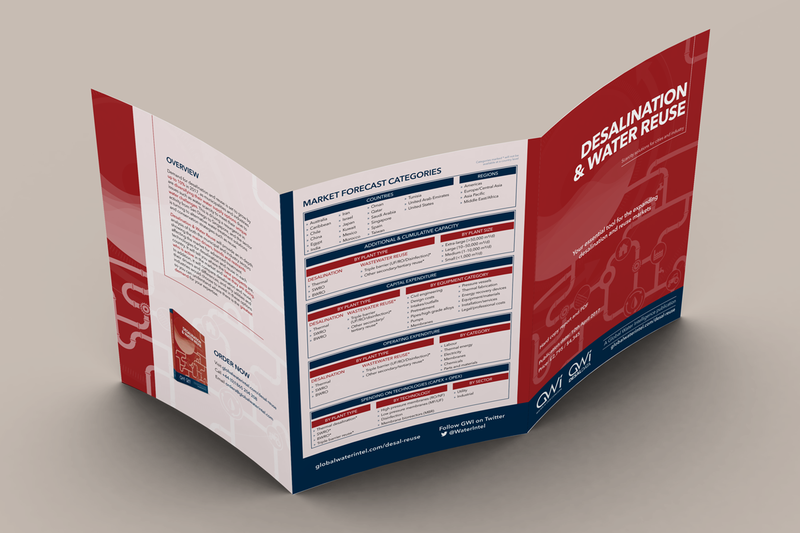 Often bespoke, visually striking infographics were required, for example highlighting the structure of a market sector.